Little Feathered Buddies • View topic - Who else cuts their bird’s nails? Who else cuts their bird’s nails? Post subject: Who else cuts their bird’s nails? Hey guys! I’m feeling very good today, and any other day as well. I’m just really happy with where I am right now. Anyway, I haven’t made any posts in about a week, but I still checked it. I’ll admit I’ve been a little busy to play with Cheerio lately, so having him fly to my shoulder with those sharp claws today is going to make me file down his nails. Do you do anything with your bird’s nails? Post subject: Re: Who else cuts their bird’s nails? I trim my birds nails whenever they get too sharp and/or lift their toes off the ground. Kermit’s nails grow quite fast and he needs his nails trimmed more often than my other birds. Ducky’s nails tend to get sharp points so she gets trimmed pretty frequently as well. I don’t have to do the budgies nails very often though. I’ve heard about people using concrete/sand perches to help keep their nails trimmed but I don’t want to risk irritating my birds feet. After all, I wouldn’t want to walk barefoot on sandpaper myself. I’m fine with cutting their nails every couple months or so. I trim my birds' nails periodically. I also assist with nail trimming at the bird club meetings, but I'm the bird holder not the actual nail trimmer. Nail trimming is almost required for pet birds, because life in captivity usually doesn't keep the nails under control the way that life in the wild does. Concrete perches are somewhat effective in keeping the nails under control but usually aren't enough - you may not need to trim the nails as often but you still need to do it sometimes. They say it's OK to use concrete perches but not the sandpaper perch covers, although I don't know why it makes a difference. The important part is that concrete perches shouldn't be your bird's only perch. You can have one concrete perch in the cage in a place where your bird will sit often, like in front of a food bowl. But the rest of the perches should be a different type. Regular dowel perches shouldn't be the only type of perch that your bird has either because those are hard on the feet. Natural branches and rope perches are great variations that are good for the feet. Rope perches obviously aren't going to do anything for the nails except help them get longer. But natural branches make the bird vary its grip a lot and may help a little with the nails. My cage mostly has natural perches, and one concrete perch. I also have 2 sand perches, but they aren’t doing a good job. I don’t really have great experience with trimming nails. I can’t get a grip on the nail long enough without the bird squirming and accidentally giving me more nail to clip than I want. I never filed nails before, but I want to try it. I use a mix of natural wood and rope perches. I like bottlebrush wood perches because they can chew on the bark. I also use manzanita, java, grapevine, and dragonwood perches. Filing nails is a good way to make the nails less sharp without any risk of cutting into the vein. If the nails are way too long it's an inefficient way to shorten them up, but if all you want is to make them less sharp then it's fine. You'll still need to get a good grip on the toe though. I get my tiels’ Nails clipped at the vet in early summer. Their nails don’t bother me in the winter when I am wearing thicker clothes. I can’t clip them myself. 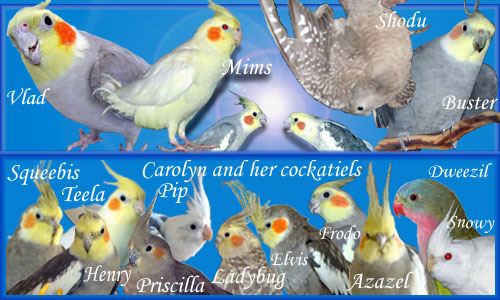 The budgies don’t get clipped at all, and they seem fine.